Amanda has been listening for the last 7 months while planning her wedding. One weekend, she roped Erick in on a road trip...he's hooked! “Not only are these girls equipped with never-ending knowledge, they’re hilarious. I often wish I was hanging out with them as they are so funny and full of life. 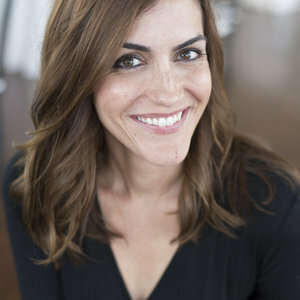 They’re also the reason Erick and I splurged and hired our month of coordinator, Taylor Boesen of White Willow Events. 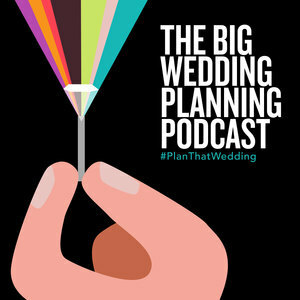 Whether you’re planning a wedding, helping plan a wedding, or simply interested in learning more about the crazy bridal industry – listen to their podcast, you won’t be disappointed.” Awesome! Listen to this episode to find out how a midwestern couple is planning their own destination wedding. (Living in Chicago, Planning in Des Moines.) Amanda and Erick talk about their good decisions, their compromises and things they wish they had done a little differently. Plus - goldendoodles! 1 We are having a special guest on this month, Dan Hinz, financial coach. If you have any questions about money (joining accounts, how to bring up debt, apps to help plan together…), please email them to us and we’ll ask Dan! 3 We have a Patreon account and we would LOVE for you to go become members for special exclusive benefits. If you’re reading these shownotes, you are a superstar listener and now you can be a part of our inner circle club! Type A Bride and Involved Groom - Amanda and Erick worked together on wedding planning and the distribution of labor (we mention this a lot on the podcast, it’s usually more than a little bit uneven) was pretty fair! We’re looking at approximately 150 guests for a budget of 25k. Wedding spending goes a lot further in Iowa than other parts of the country (I’m looking at you Coasts!) Amanda and Erick were very clear about their priorities (awesome photographer for her, awesome band for him) from the onset of wedding planning, and they skewed their budget to accommodate those priorities. Challenge #2: Hiring vendors when you don’t live in the area. In order to hire a local band without actually seeing them live, Amanda and Erick looked at a ton of YouTube videos and scoured the reviews on wedding sites like Wedding Wire and The Knot. They feel confident with their choice because they did a lot of research, but also because the band manager was responsive and helpful over email. 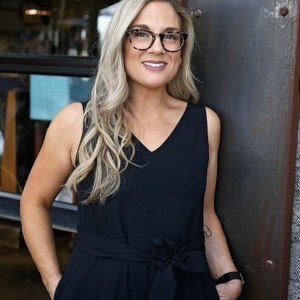 Hiring vendors without interviewing them in person requires a lot of back and forth over email and Amanda encountered vendors that just weren’t getting back to her…and that’s a red flag. Professionals lost out on their business because it took so long to respond to Amanda and Erick. Communication makes a BIG difference. Cool Detail: Combining Dirt! Erick and Amanda are going to combine dirt from their home towns…the mom’s are going to bring soil/dirt to the wedding and combine it in a pretty vase during the ceremony. Earth to earth. Something that Amanda and Erick can maybe use to plant something at their home one day. It’s a nod to the Midwestern roots and combining their two backgrounds. Their minister came up with the idea and our dear couple loved it. The biggest thing Amanda took away from the podcast when planning her wedding was to hire a ‘month of’ coordinator. She ended up hiring someone that has worked at their venue often and it’s a perfect fit. Hooray for our good advice and the positive impact it can make! “Long time listener, first time caller!” - Erick, the first time a guest has said this and we love it! “She’s a tough negotiator and I’m a ‘pay-to-make-it-go-away’. - Erick, on teamwork!